First off, I want to begin this by apologizing the Kings fans who haven’t given up on keeping this team. I have truly underestimated your efforts to keep a 28-year tradition going in this city. I applaud everything you have done and everything the city and the investors hoping to own this team are doing. It is crunch time for the Kings and their future in Sacramento, we are less than 48 hours from the NBA Board of Governors’ decision on the relocation of the team to Seattle. Two weeks ago, the NBA’s relocation committee unanimously voted against the Kings moving to Sacramento. It was just two days ago when the arguable two most hated people in Sacramento, Joe and Gavin Maloof told ESPN that they do not want to sell to the Sacramento investors should the move to Seattle be blocked. Instead, they want to sell 25-percent of their share of the team to the Hansen-Ballmer group for $125 million, a move that the NBA would still have to approve. A day prior, the Hansen-Ballmer group increased their bid for the Kings to $625 million. The Sacramento group,led by Silicon Valley billionaire Vivek Ranadive has an offer for $525 million, $258 million coming from the city for a new arena which would be situated where the dormant Downtown Plaza currently is at 5th and L Streets. Personally,I think the Maloofs have given this city and these fans the middle finger for far too long. This latest incident is the extended proof of that. Even the name Maloof makes Kings fans shudder and their low attendance figures the last several years could very well be to avoid filling the pockets of the much hated owners. I am really hoping that the rest of the NBA ownership are hesitant to listen to a couple of dittoheads who are strapped for cash and also the Hansen-Ballmer group,who seem too desperate for this team to begin with and somehow get this team to Ranadive and his group. 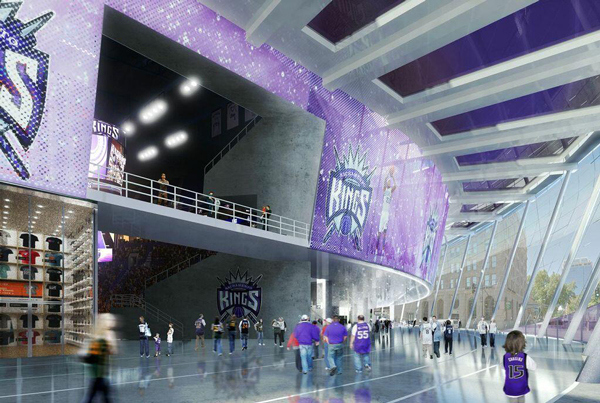 I really want this vision of a new arena to happen not only for Kings fans,but for the city who could really use something like that to give downtown Sacramento some new life (There is life downtown, but its in pockets). Here’s what should be the real solution: Ranadive and his group should own the Kings and award Hansen-Ballmer a Seattle expansion team as well as another city (maybe a Louisville or a Kansas City). Everyone makes money from these deals and everybody wins. This won’t happen,but it should. I feel for Seattle and do hope that one day their SuperSonics come back into the NBA, I just don’t want that team to come into the form of the Sacramento Kings.